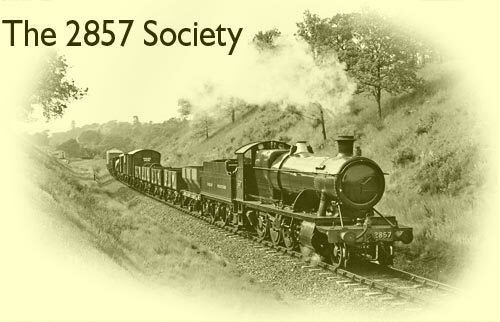 The 2857 Society is engaged in the long term preservation of Great Western Railway heavy goods steam locomotive No. 2857, principally for active use on the Severn Valley Railway, running between Kidderminster and Bridgnorth in the UK. Welcome to our website. 2857 departs from Bewdley on the occasion of the 70th anniversary Goods Train.